Ringgold Elementary celebrates Bus Safety Week 2010. 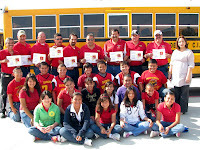 “Cross in View, It’s the Right Thing to Do!” was the official theme for Bus Safety Week, October 18-22, 2010. The bus drivers went over everything from bus safety rules to emergency exits and evacuation. Ringgold Elementary recognized school bus drivers for their ongoing dedication to the safety of all students under their care and their valuable contributions. 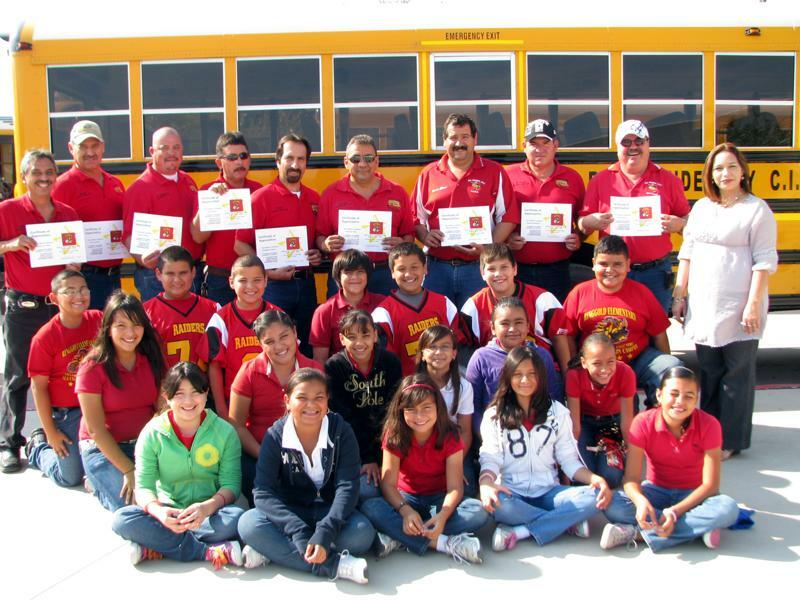 Pictured are 5th grade students from Mrs. Elvia Garza’s class along with our Rio Grande City CISD school bus drivers. Thank You for your hard work and dedication.